Stinessen Arkitektur have designed a modern house that sits on the Malangen peninsula in Norway, for a family and their visiting friends. The layout of the home involves several individual volumes connected via in-between spaces and a central winter garden. 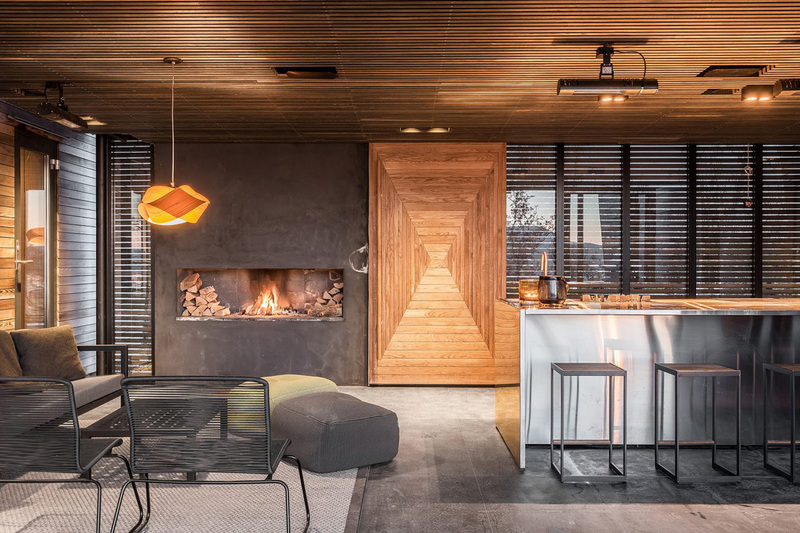 A large highlighted wood door guides people inside, where they will find a warm and cozy interior with a fireplace. The home has a variety of different spaces inside, the this living room that has a large picture window that perfectly frames the view. In an other room, there’s a concrete wall with a built-in fireplace, and a large sliding glass door opens to the outdoors. Small areas, like the one below, offer a quiet place to relax or play while taking in the views. 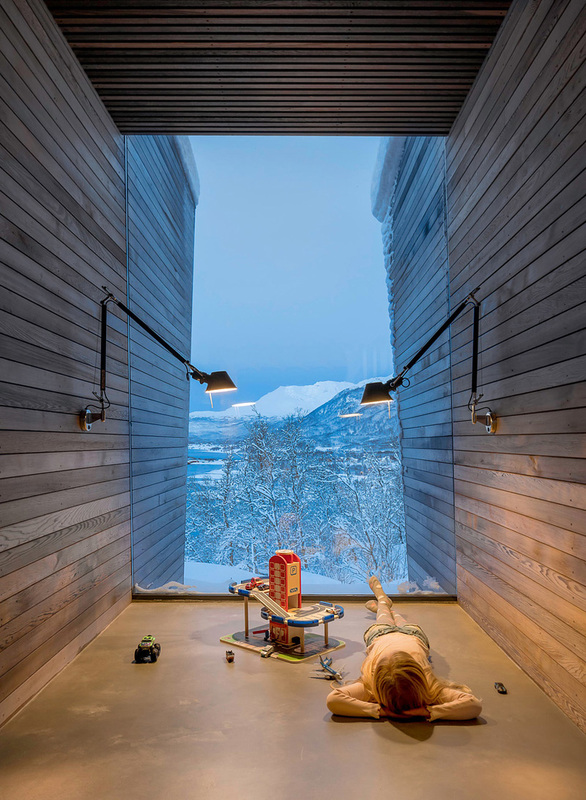 The home also has a sauna with curved wood seating and relaxing views of the surrounding area. In the dining room, a long and horizontal pendant light hangs above the dining table, while the windows add natural light to the room. Really cozy wooden house. If you liked it then you should check our collection of 15 creative modern wooden houses.